Burgundy is the benchmark of excellence for Chardonnay and Pinot Noir. The climate and soils are very varied - a vineyard's location is extremely important in determining its quality level in the appellation hierarchy. The Chablis 1er cru Fourchaume is the top of the premier Crus of Chablis due to its location and its closeness to the Grand crus. Supple and long in the mouth providing the perfect accompaniment to fishes served with white butter or with cream. Due to the microclimate its essential flavours principally the white flower and the rose. A buttery nose that’s quite forward and opens up with floral, mineral, lemon and green apple. Light to medium bodied, assertive with mineral flavours and an exploding palate. Well structured and powerful with good acidity and a nice mineral finish. The Chablis is a clear, fresh, light, generous, well balanced with fruit flavours as well as mineral character and a lot of finesse. The Chablis is very well balanced, it has beautiful intensity. It is a wine which is pleasant, frank and typical of the vineyard of Chablis. It pairs well with all varieties of fish, shellfish as well as goats cheese and cooked pressed cheeses. Bourgogne Chardonnay takes its specific character from where the grapes are grown and how they are vinified. "Maximum" arises from a judicious blend: the Chardonnay grapes from Meursault, with the sensual delight characteristic of its rich soil and long exposure to the sun, are balanced by the slightly syrupy Chardonnay from Beaune and Chassagne that forms this nicely structured blend. The ageing in French oak barrels gives the wine subtle accents of vanilla and toast. Pale yellow in colour heightened by golden glints, toasted hazelnut bouquet, dried fig and dried, candied fruit. The palate is round and unctuous with flavours of vanilla and toast. A superb golden colour with subtle shades of green. When young it displays perfumes of spring flowers and exotic fruits, later revealing aromas of dried fruit and toasted bread. In the mouth it is flattering, supple and mellow. A rich and flavoursome wine with much finesse and distinction. The nature of the land favours a harmonious blend of flavours, with hints of nuts and grilled almonds. It's vigour and richness mean that this wine can be kept for a long time before opening. Pale yellow gold in colour but brilliant and crystal clear. This dry but ample wine is tender and fruity, displaying aromas of peach, citrus, honeysuckle and dried fruit. On the palate it is mineral and lively from the first attack, fresh and well rounded. The structure is harmonious, fresh and round. Beautiful limpid and gold colour in its youth, which takes on amber hues with age. Its bouquet breathes exotic fruit notes with citrus and pineapple, revealing rich honey aromas, grilled almonds and cinnamon. The mouth is ample round and fresh with a long well-balanced finish. This wine has great ageing potential. fine and lively nose typical of Aligoté. Aromas of hazelnuts and fresh butter. Round and fresh on the palate, citrus notes. Oysters, seafood, fish, sausages and KIR (with crème de cassis). Fine and fruity nose with aromas of dried fruits. The mouth is fat and round with a lot of flexibility. Enjoyed with fish, white meats, cream sauces. Golden yellow color. Vanilla flavors, with touches of butter and brioche. Round on the mouth, with notes of toasted hazelnuts and accacia honey. Lovely aromas of grilled nuts interspersed with minerals make up the aromatic profile of the Puligny-Montrachet Les Folatieres. Sappy mineral, toast, and bacon flavors are found in its silky, light to medium-bodied personality. Fresh fruits, pear, peach with integrated oak. Aromas of white flowers moving towards almond, toast and broiche. A complex mouth with good minerality. This wine has many seductive qualities. Intense, lively and generous. Nicely balanced fresh, clean nose. An elegant, refined palate. Well-balanced, fairly long. The flavour builds up on the finish. Well made. Rich and elegant, delicate and elegant, this wine expresses slightly honeyed, buttered and white peach flavors, complemented by a white flower note. It is a wine of great precision, simply excellent. A crisp and fruity Chardonnay with very subtle suggestions of nutty oak influence and an enduring minerality. Extremely fresh with green apple hints, nutmeg and dairy, closely knit crunchy crisp palate and a long creamy but quite refreshing finish. This wine is rich and well constituted to consume young or be kept in the cellar from 4 to 5 years before drinking. The Pouilly-Fuisse is balanced and long on the palate, the average of the ageing is 7 years depending upon conditions of storage and vintage! The POUILLY-FUISSE "Vieilles Vignes" is the most rustic of the Thibert wines. In fact, it’s a very robust wine, creamy, toasty, and very aromatic with a large aptitude for further ageing. You enjoy the best flavours and you taste the aromatic richness if you drink at temperatures from 12° to 14°. 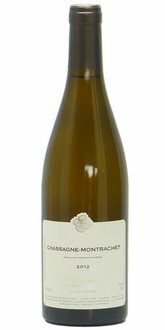 Our recommendation is to consume our POUILLY-FUISSE "Vieilles Vignes" with fish dishes a little spicy or with dishes very delicate like: crayfish, lobster, salmon, marinated seafood dishes. The 70 year-old vines have yielded an intense, mineral, aromatic wine that is lovely now but will age superbly. Brilliant straw coloured in the glass. Expressive nose of lemon oil, peach blossom and a note of vanilla bean. Medium bodied palate is well balanced with kiwi, lime and some limestone minerality which cuts through the palate. Nice finish with tart yellow fruits and more minerals. Yellow-green in colour, the nose is discreet in its youth with fresh notes and evolves over time with more complex notes of citrus, flowers. The palate freshness and well-balanced.